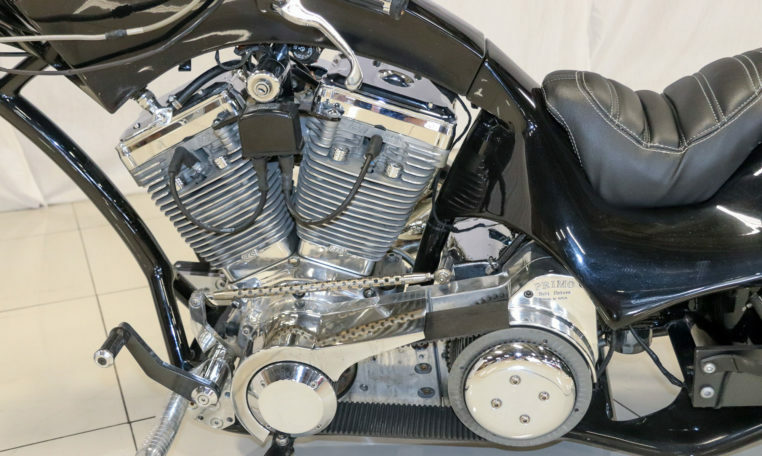 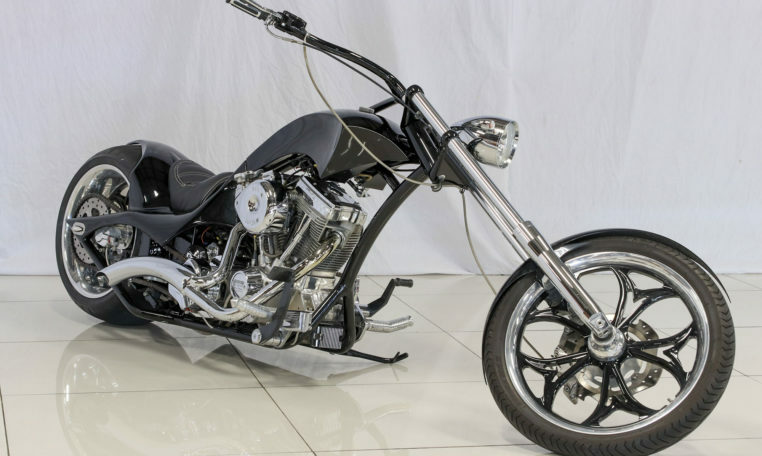 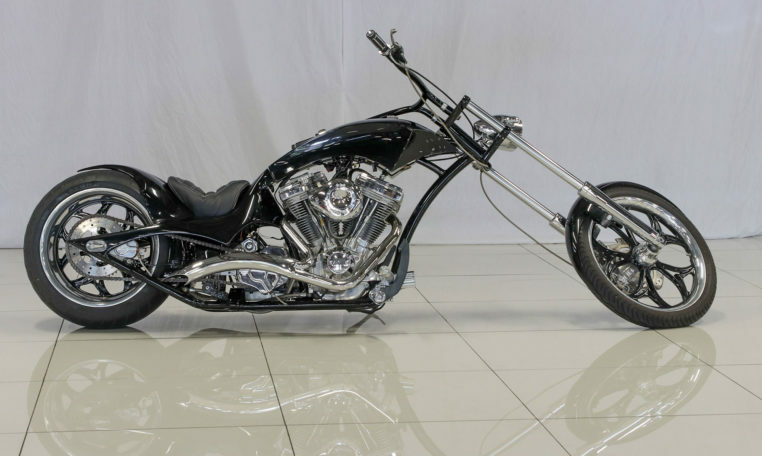 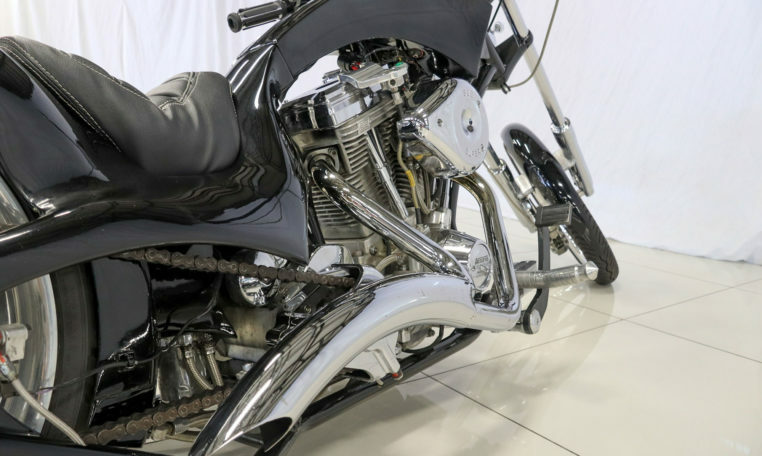 This 2005 S&S Custom Chopper is finished in a black metallic paint with a black leather custom stitched saddle. 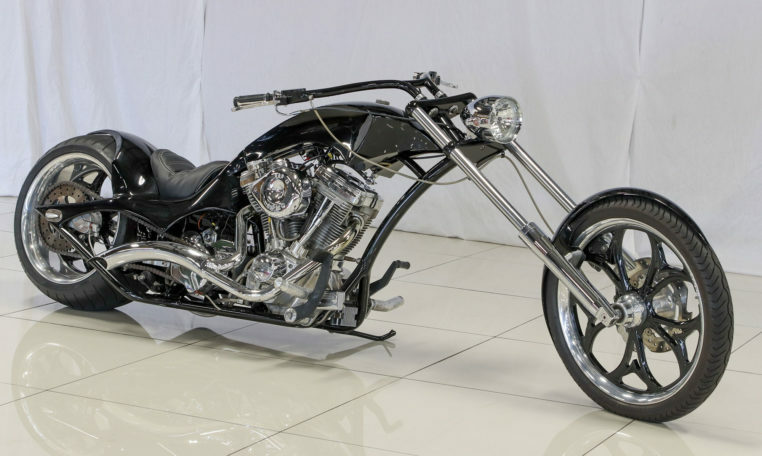 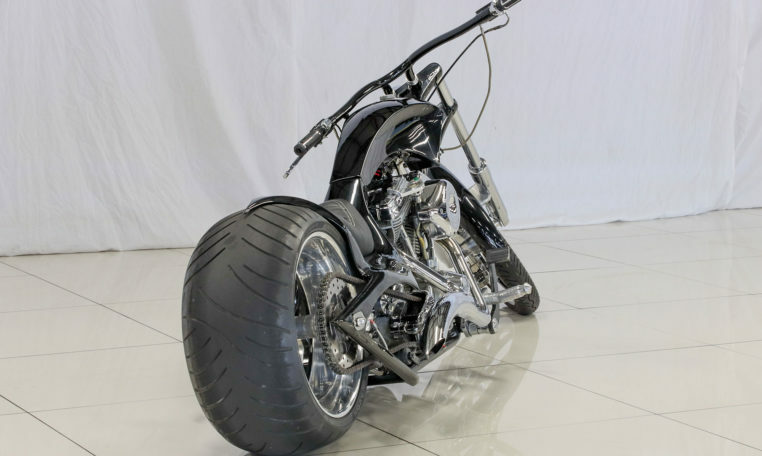 This extra-long wheel base custom S&S chopper is hand crafted and fitted with billet aluminium extras. 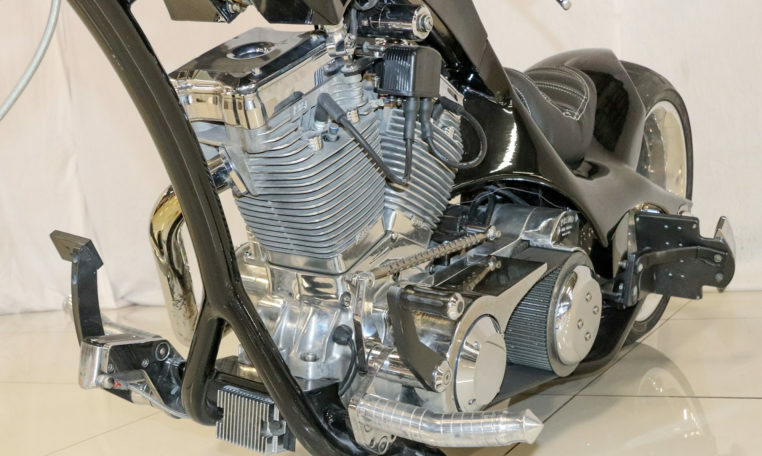 The S&S Super Stock 1800 cc big block motor is connected to the Baker Speed 6 gearbox via a prime belt drive. 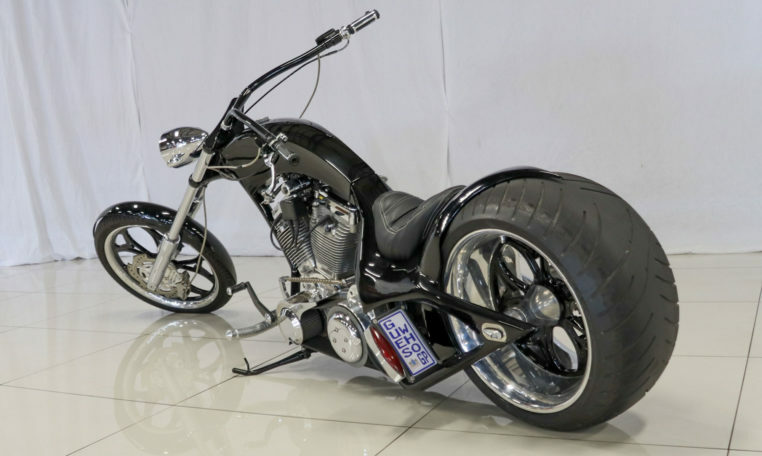 The 300/35 18 inch super wide rear wheel is chain driven, matching billet custom front wheel is a 90/90 21 inch. 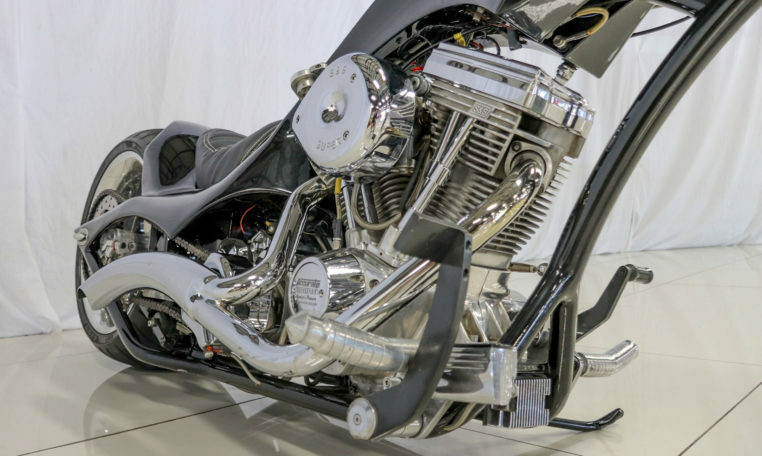 S&S Cycle are an engine and parts engineering company who develop engines for v-twin motorcycles in the US. 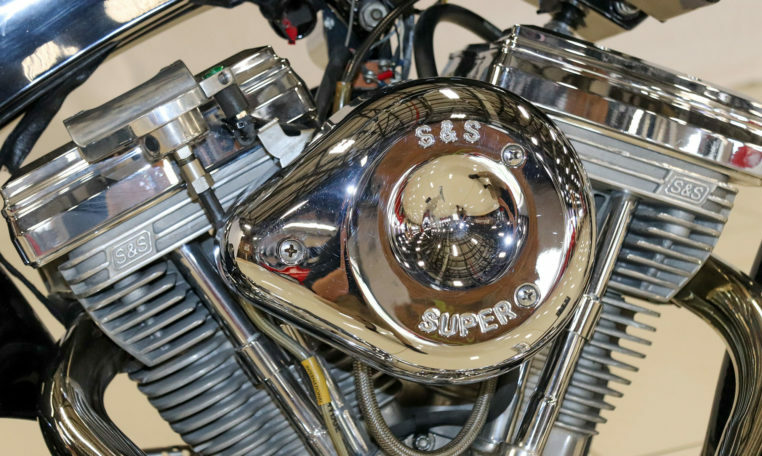 The S&S Cycle Company was founded in 1958 by George J. Smith and Stanley Stankos in Blue Island, Illinois. 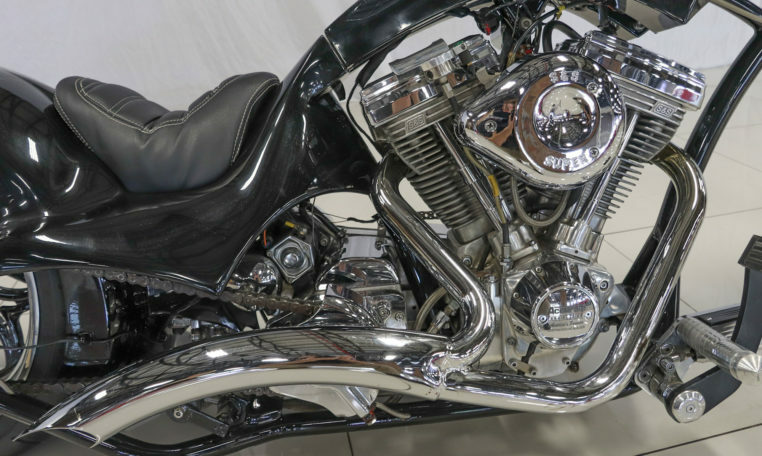 Individual motorcyclists have altered the appearance of their machines since the very first days of motorcycling. 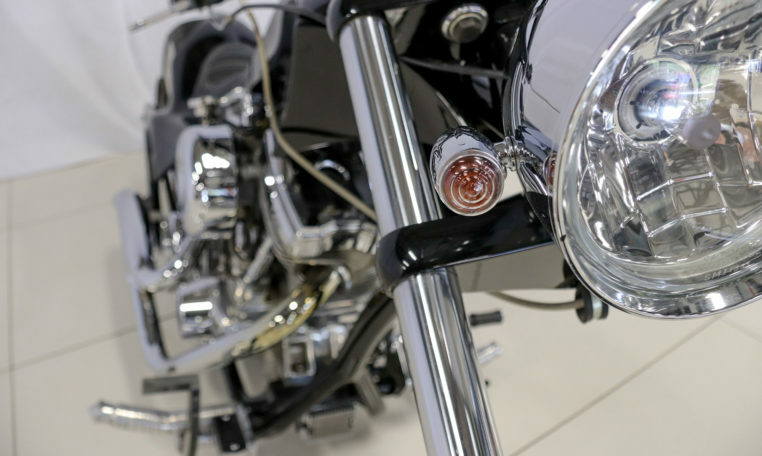 The first motorcycles labelled ‘Custom’ appeared in the late 1950s and have grown in popularity over the years.